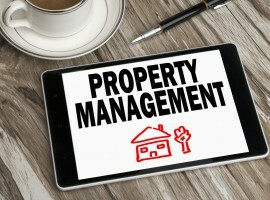 When it comes to managing your investment property to ensure you get the best possible returns, nothing beats the inside scoop from a property management professional who knows the ins and outs of looking after landlords. So we thought…why not share our top six tips on how to best manage your investment property, compiled by the head of Metropole’s property management department, Peter O’Brien. When you fail to plan, you plan to fail as the old adage goes. In order to succeed in property investment, you need to have a detailed strategy mapped out and keep sight of your long term goals. When it comes to managing your property portfolio, you should think like the owner of a business, because that’s essentially what you are! Employ the best people for your team, take an active interest in all aspects of what they’re doing and communicate with them regularly because at the end of the day, it’s your asset and you need to make sure it’s being looked after effectively. While we understandably wear our hearts on our sleeve when we go shopping for a new home – after all it’s where we raise our family and find sanctuary from the daily grind – allowing your emotions to get in the way when it comes to your property investments is a big mistake. Rather than imagining yourself in the property you’re looking at, think about the type of tenant you want to attract and whether they would be happy living there. After all, the tenant will help to pay your mortgage and by knowing your target market and catering to their likes and dislikes, you’re less likely to have extended vacancy periods and more likely to achieve top rental dollar. One way to make sure you get the best tenant to look after your asset, whilst at the same time ensuring it retains its long term value, is to conduct regular and timely maintenance. With rents on the rise, tenants are increasingly particular about the condition of properties and will be reluctant to pay top dollar for a hovel that’s seen better days. By keeping up appearances with a fresh coat of paint as required, attending to any necessary repairs or even installing an air conditioner or dishwasher to take that bit of extra care for your tenants, you will reap the rewards with a top rental price. Additionally, you are more likely to attract a tenant who pays their rent on time and treats the property with the same respect as they would their own home. And let’s face it, a well maintained property will be a money spinner for the long term as it continues to grow in value, rather than losing value due to untended wear and tear. To maximise the return on your investment, it is essential to keep on top of where the rental market is heading. Conducting annual rent reviews will ensure you always achieve the best possible price and therefore returns on your asset. Often, by increasing your rent in line with the market, you can decrease the divide between rising monthly mortgage repayments and the contribution your tenant makes each month. Getting too greedy can have the opposite effect and alienate a good tenant, who might decide to move on to greener pastures. For this reason, you need to weigh up whether gaining a bit more in the short term could see you lose out in the long term because your property is over priced and remains vacant for longer. Making friends gives us a warm, fuzzy feeling right? But getting too cosy with your tenants can actually cause a world of pain for landlords. Firstly, there’s more chance of complications when it comes to the tenant paying their rent in a timely manner, as they might feel they can take advantage of your personal relationship. Secondly, if you stretch the friendship and pop around to visit too frequently, the tenants might end up accusing you of breaching their legal right to quiet enjoyment of the rental property. Again, this is where the benefits of employing a business management attitude toward your property investment, as opposed to getting personal, is invaluable. Employing an experienced property manager who knows the area your property is in intimately, will be fo great benefit in the long term. A good property manager will collect the rent, handle maintenance issues and liaise with the tenants on your behalf. Best of all, they will do it all within the parameters of the laws pertaining to rentals and in a professional manner. By handing your asset over to a property manager and paying a small, tax deductible fee for their services, you will ultimately free up your own invaluable time to do what matters most – finding more lucrative rental properties to add to your portfolio. I agree! Getting help from a property management professional is the best option to ensure minimal vacancy and maximised rental returns. Thanks for this nice and informative post, i really enjoyed reading it.